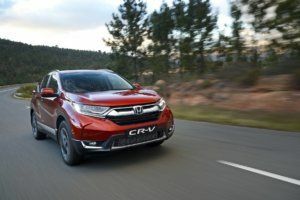 This particular vehicle, affectionately called the “Disco”, was one of the ten finalists in the 2018 Wesbank Car Of The Year, and with good reason. 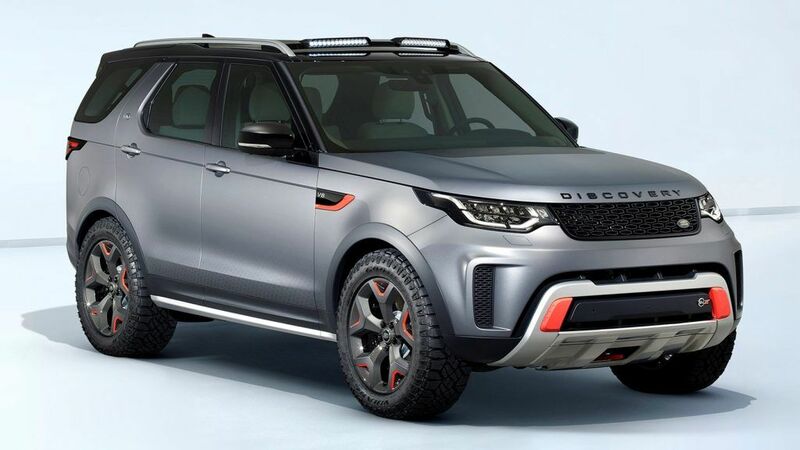 From a purely aesthetic point of view, purists are not too keen on the almost “Evoque” styling and I often hear that the old boxier body is preferred. I personally find it extremely attractive, and considering you would see this vehicle at upmarket malls more than roughing it in the bush, it works for me. Just because it’s pretty doesn’t mean it’s not immensely capable. With its multi-mode Terrain Response 2 system, ground clearance of 283mm and a wading depth of 900mm, it’s no mall rat. The interior has some pretty cool state-of-the-art buttons, gadgets and switches to play with. Lush finishes, and very original hidey-holes and storage cabinets delight and surprise. As I was carting a massive amount of things the immense 2 500 litres of storage space, unmatched in this segment, was sheer magic. Imagine my delight when I discovered I didn’t have to clamber into the behemoth to fold down seats – they folded down at the push of a button! 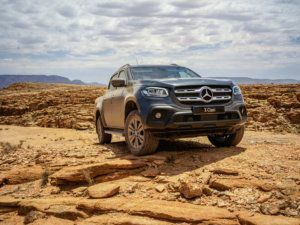 Very few off-roaders are as impressive or have such a pedigree – it will gracefully clamber over anything using a box of electronic tricks and gadgetry while the occupants can relax and hardly spill a drop of champagne. With an optional third row seating seven passengers (full size seats) in impressive luxury. 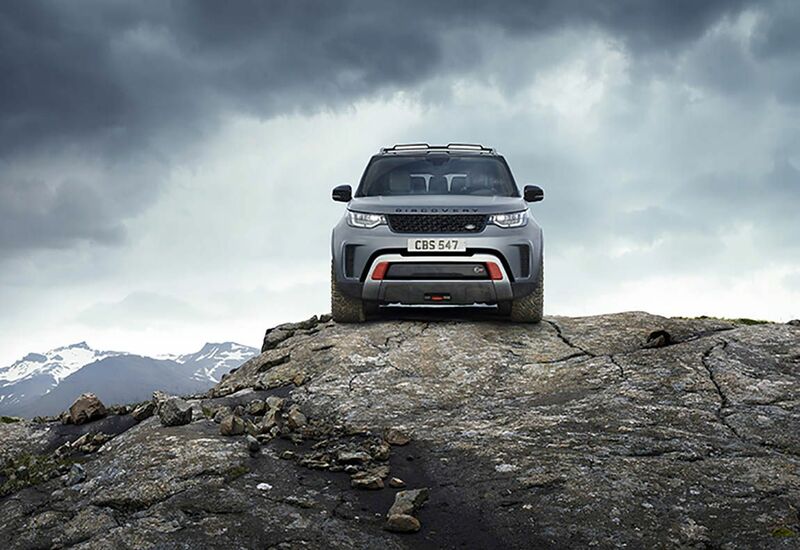 Its “snob factor” cannot be denied, but the fact that it is a spectacular drive on or off-road shuts up its naysayers. 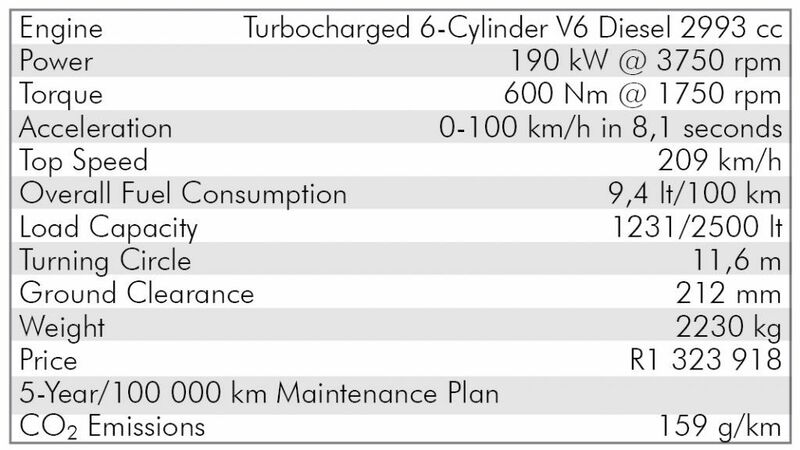 The diesel V6 engine delivers 600Nm of torque and 190kW of power for excellent performance, pulling power and efficiency.